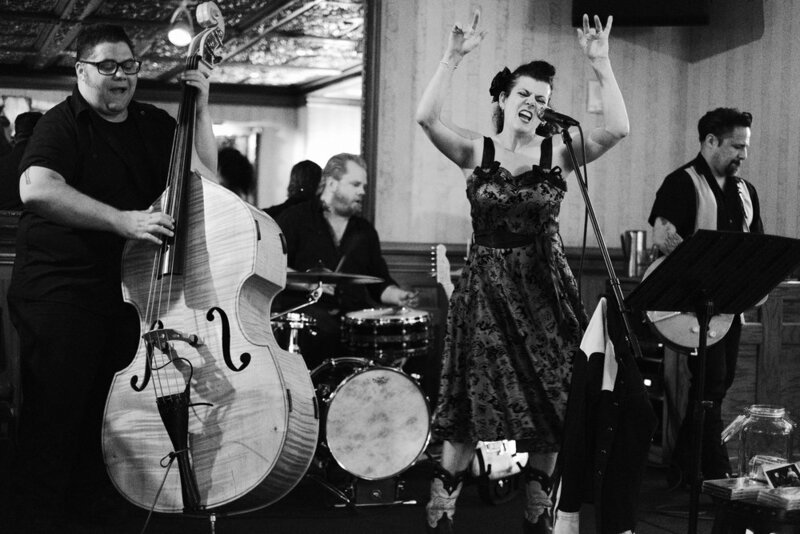 Ruby Dee and the Snakehandlers put on a great performance at The Driskill Hotel in downtown Austin last weekend. I jumped at the chance to see them play in the bar at this beautiful historic hotel. 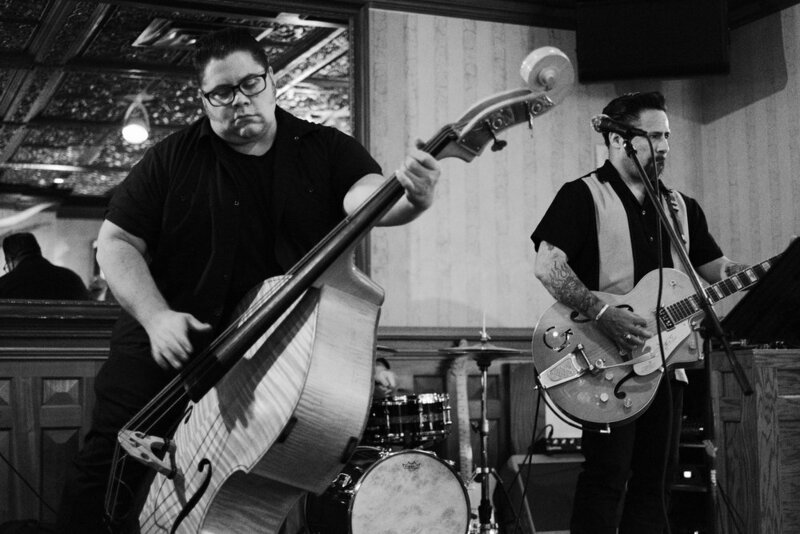 Rockabilly seemed maybe an unusual genre for the intimate environment of the swanky Driskill Bar. However, the band put on on a rocking class act that the Saturday night crowd enjoyed and they even played a request or two. Lead lady Ruby Dee was stellar in spite of having sustained injuries during a recent overseas tour. Cracked ribs and a tear in her shoulder didn't hold her back from dancing on and off stage. Those Rockabilly gals are tough! 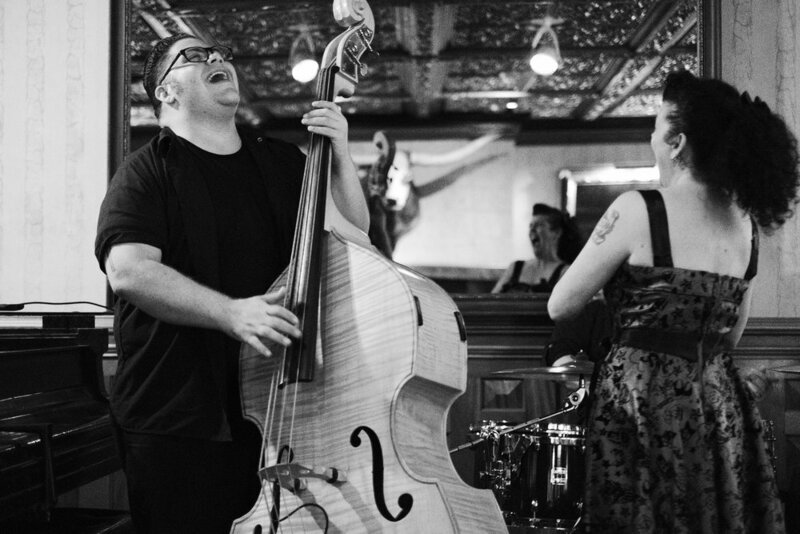 This Austin based group performs regularly around town. Check them out, it's a fun show. All photos were taken with my Fujifilm X-T2 and XF 35mm f/1.4 in the Acros film simulation. It was a a dimly lit stage and most exposures were in the ISO 8000-10,000 range at f/1.4. I'd say the X-T2 is doing a little better than my X-T1 at the low light autofocus but there were a lot of misses. Tracking energetic musicians in low light isn't an easy task for even the best autofocus systems and having to shoot with the shallow DoF of f/1.4 doesn't help. Check out a few more photos from the show here.